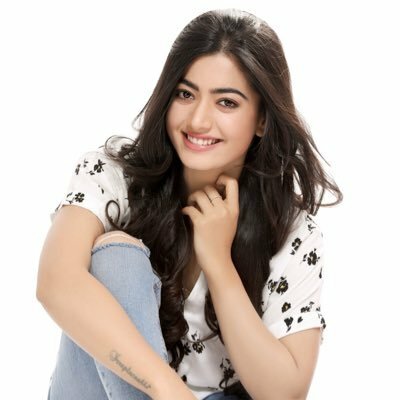 Rashmika Mandanna Wiki, Height, Weight, Age, Husband, Family and Biography: Rashmika Mandanna is an Indian Film Actress and Model. She works in Kannada Film Industry. Rashmika Mandanna's height is 5ft 6in (i.e. 167 cm approx.) and her weight is 54 Kg (i.e. 119 lbs approx.) She has black color hair and dark brown color eyes. Rashmika Mandanna was born in Virajpet (Virajapete), Kodagu, Karnataka, India. Rashmika Mandanna is graduated in Journalism, English Literature & Psychology from MS Ramaiah College of Arts Science & Commerce, Bengaluru. Rashmika Mandanna made her on-screen debut Kirik Party (2016) as Saanvi Joseph. For this debut film and her acting performance, she was nominated in IFA Utsavam Award for Best Actress & SIIMA Award for Best Debut Actress. Rashmika Mandanna has also appeared in two movies Anjani Putra and Chamak.